Euro reached the correctional level of 38.2% and rebounded from it. We can’t exclude a possibility that right now the pair is starting a new ascending movement. The target for the bulls is still in the area, where there are several fibo-levels, the most important of which is the level of 78.6% (extension). 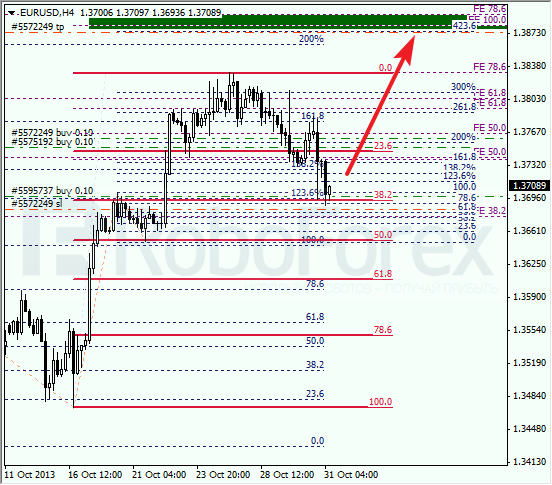 At the H1 chart, the price rebounded from the level of 38.2% near one of the temporary fibo-zones. We can see several additional fibo-levels (formed over the latest correction) and they make the main target area even more important. 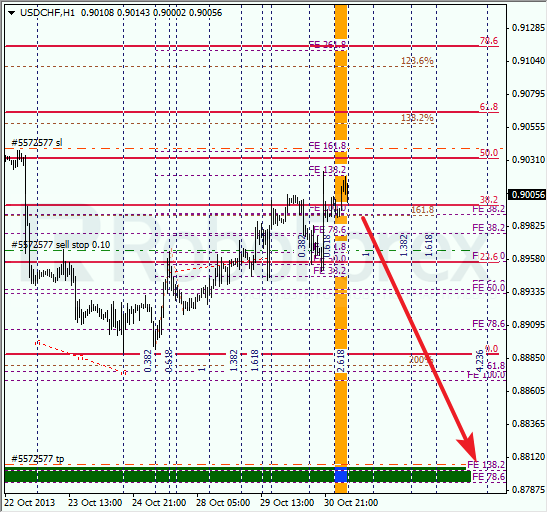 At the H4 chart, Franc is moving between the levels of 38.2% and 50%. I’m still out of the market and have only a pending order. 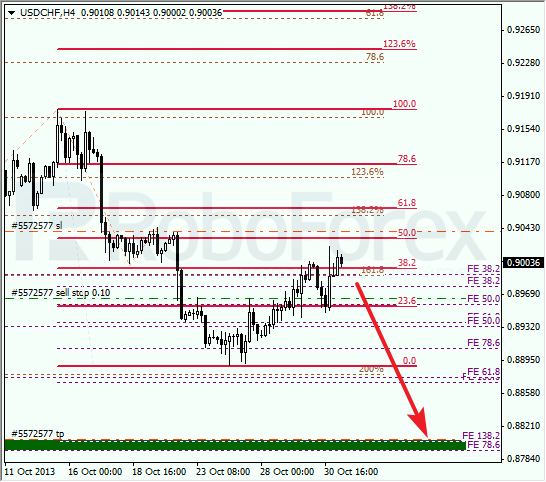 The target for the bears is the area between the levels of 78.6% and 138.2%. At the H1 chart, Franc is moving inside one of the temporary fibo-zones, and may start falling down in the nearest future. If the price breaks the local minimum, the bears will return to the market.